Update your living room with a luscious, leafy vibe. 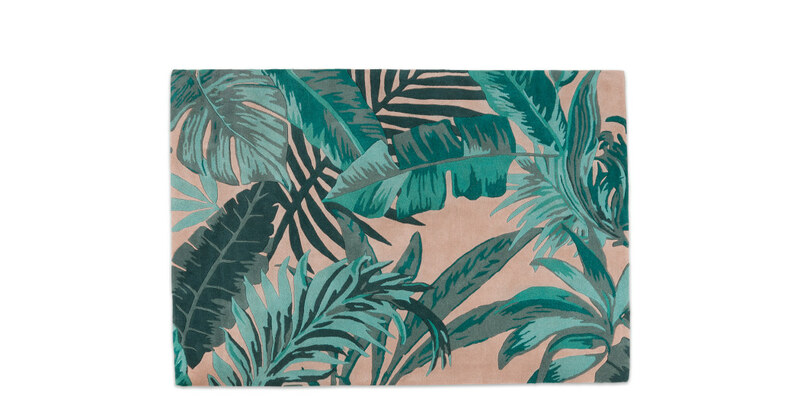 Jangala has the tropical flair of a palm house or conservatory, in bright, rich colours and textures. The bold botanical design is rich in colour and texture, on 100% wool. Complete the look with cushions from the collection to add depth and texture to your space. Fresh foliage textures bring the outdoors into your living area. The tufted wool is sumptuously soft to the touch. It’s a treat for bare feet.